0. 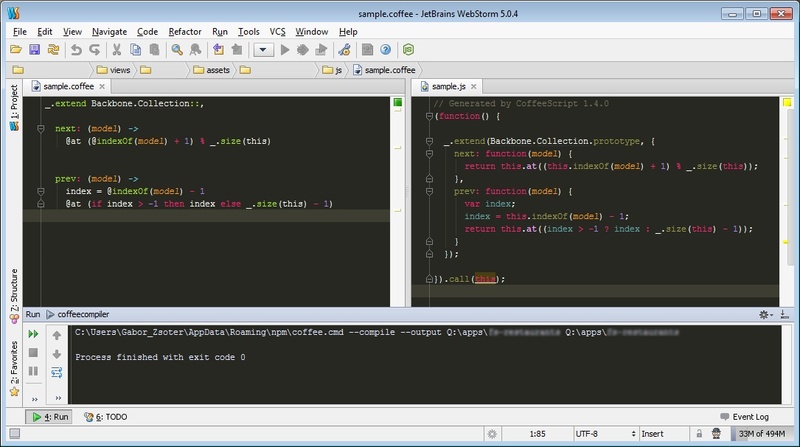 Try to configure Node.js with coffe compiler parameters at “Run” > “Edit Configurations..” > “Node.js”. If you fail, move on to step 1. 2. Bind this compiler to a key that you love most or hit a random one for fun. 3. 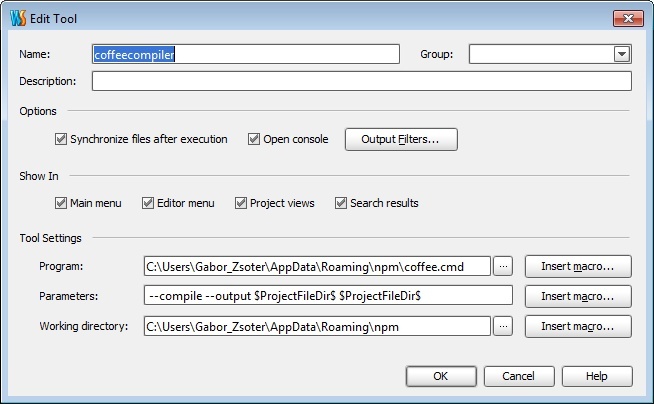 Hit F5 to compile.. Yaay!